AMSOIL Universal Synthetic Marine Gear Lube is recommended for fresh and salt water applications requiring either 75W-90 or 80W-90 viscosity grade and meeting either API GL-4 or GL-5 performance standards. AMSOIL Universal Synthetic Marine Gear Lube is an exclusive AMSOIL formulation of synthetic base oils and high performance additives that address the specific concerns of marine applications. It is extreme pressure (EP) additive fortified for superior protection of fast accelerating, high torque/horsepower engines. It protects against shock loading from cavitation of heavily loaded engines. AMSOIL Universal Synthetic Marine Gear Lube is water resistant. It maintains extreme pressure protection even when contaminated with as much as 10% water. It promotes longer seal life, preventing excessive water leakage. AMSOIL Universal Synthetic Marine Gear Lube protects against rust and is compatible with aluminum, copper and brass alloys. Marine gear oils operate in environments subject to water contamination. 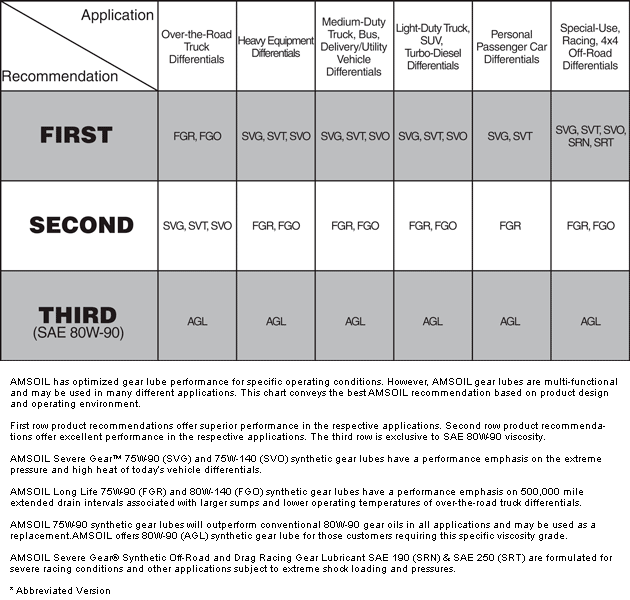 The chart below demonstrates the ability of AMSOIL Universal Synthetic Marine Gear Lube to maintain designed qualities such as extreme pressure/anti-wear performance and resistance to foaming, even when subjected to 10% water contamination. The Falex Procedure is measurement of a gear lube's extreme pressure and anti-wear properties. A high value in the Falex Extreme Pressure Test relates to extra extreme pressure protection. AMSOIL Universal Synthetic Marine Gear Lube is not affected by water and provides 50% more extreme pressure protection for long gear and bearing life. The presence of foam in a lubricant disrupts oil film and promotes wear. Water contamination can increase the likelihood of foaming. Industry standard testing demonstrates zero foam in both new and water-contaminated AMSOIL Universal Synthetic Marine Gear Lube. Other conventional gear lubes can foam when mixed with water, as seen in the graph. 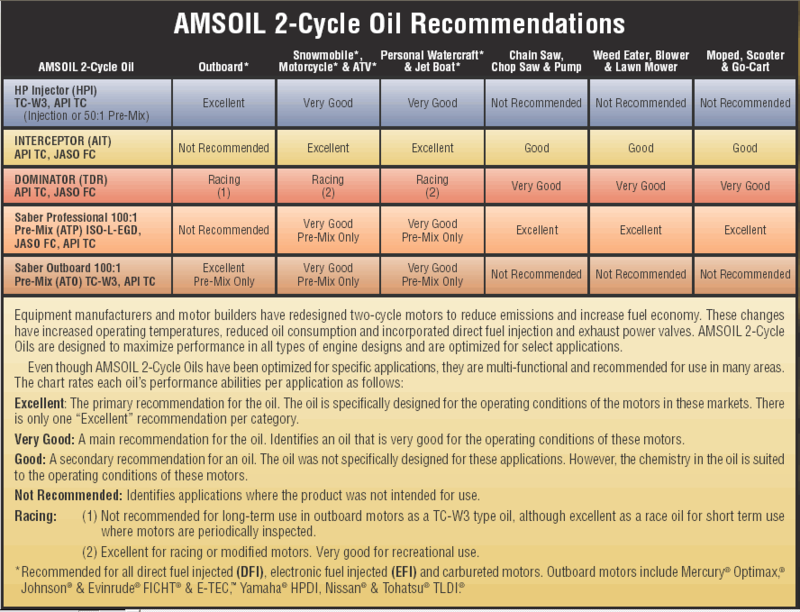 Click here to view the MSDS Data Sheet for AMSOIL AGM. 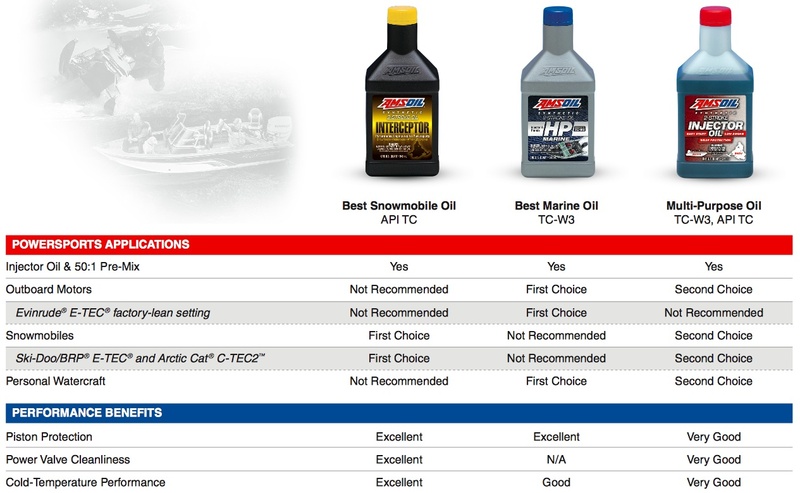 AMSOIL Universal Synthetic Marine gear Lube is compatible with other commercially available conventional and synthetic marine gear lubes.Follow manufacturers recommended service intervals.It is generally a good idea to change gear lube at the end of the season prior to storage. Votes & Reviews: 23 vote(s) and 28 user reviews. I been using Amsoil Synthetic Marine Gear Lube on my 2017, 115hp Yamaha outboard. This product is awesome product. So far everytime I change my gear oil it's been clean with no water, it helps in smooth shifting. Excellent product, I would recommend this product for all outboard gear oil. This has protected my lower unit for the last 12 years and my internal parts still look brand new. I use this in my work boat every day from ice out to ice in on Georgian Bay. Shifts smooth and always stays clean. I use this for Mercury outboard gear cases and it has never let me down. Gear Oil For my Yamahas ! I use this in my 225 Yamaha and my 9.9 kicker for my Lund 2025. It s the only oils for my Yamahas. I buy this product continually. I use this product in the Alpha One Gen. II outdrives on my twin engine Scarab. I`m pushing 400hp. through them and they continue to hold up because of this gear lube. I have never had a problem when using this product. I will continue to use it exclusively! I have used and oil since the seventies in cars and boat. I go app 5000 miles 0n quart. both my son's use it the best. After using on multiple Yamaha outboard engines more than 100 hrs between gearcase changes ; the oil looks Chrystal clear very impressive the oil should extend the life of gearcase . Never had a problem with the lower unit and it is 15 years old. Used in Mercury Race outboard gearcase's protects internals, never any metal on the magnet. I use this oil in my 5.7 hemi engine. My engine runs smoother and cooler. I have used the marine gear lube for many years its never let me down I highly recomend this product!!! I use this in a 1981 75hpJohnson outboard. Little to no smoke. Smooth running. Cylinders stay clean and does not foul plugs like other oils. Even Evinrude synthetic. Awesome product. The best synthetic on the market!!! I've been using Amsoil since the 80's and I'm an ASE certified diesel mechanic with over 30 years of experience. I haven't found any other lubricant that comes close to Amsoil, I recently purchased a boat and drained all the fluids and replaced them with Amsoil marine lubricants. I know I will get years of worry free performance while using Amsoil. Great and will buy again! This product is used in a 2013 Mercury 4 stroke outboard, 150hp. I change the oil every season with about 75 hours of use. Great product, I would buy it again. I believe synthetic oils are great for any moving metal parts. No wear, No friction, saves money in years to come and makes my engines very dependable. easy to use and a great product.